We are looking for a few basics for the apartment, today. First on the list is a trip to MASTERBED in Mohandessein. Mohandessein has an upscale shopping area with Benneton, Gap, Barclay's and the like. And, of course, local favorites like Arsenal (a shoe store!) Love Man etc. Earlier, friends had directed us to MASTERBED for a comfortable mattress. The locals here favor what could charitably be called a “very firm” style. Terry and Linda have earlier selected a pair of twin beds for the guest room and delivery is scheduled for Wednesday – provided we complete payment before 5 pm today. Also coming is a box spring to fit beneath our previously acquired queen mattress. Soon we have selected Pasabache tumblers, an electric teapot, and other kitchen necessities. We also pick out a Tecno range, a Kiriazi 12 cu. 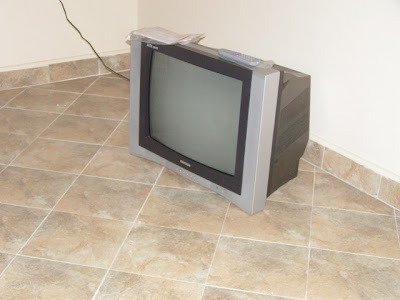 ft. fridge and a Maxtron 25 inch TV. We each note the peculiarity of cubic feet and inches in a metric country where we may have the only tape measure that is marked in inches and feet. Making purchases here is a bit different from back home. There are plenty of clerks standing by ready to help with our purchasing. Once we pick out a plate, we tell the clerk that we want four. He carefully peels off the bar code label and attaches it to a multi-part form, multiplies the unit price by four on his calculator and writes the extension on the form. The clerk then tears off the top sheet of the form and hands it to us. At the end of our visit, we havea fistful of these sheets but no merchandise. At a counter on the main floor, a cashier takes our papers and scans all the bar codes producing a nice itemized receipt. 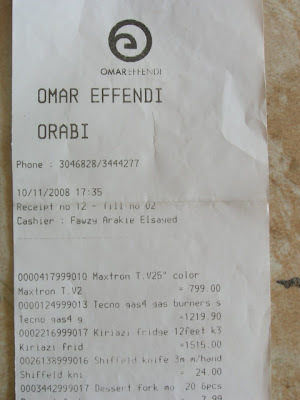 All the merchandise has simultaneously arrived near the front door and is in Omar Effendi bags, ready to take away. 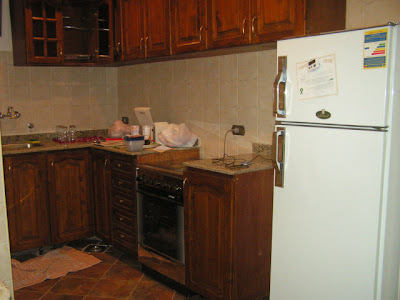 Well, not all the merchandise – the stove, refrigerator and TV will be delivered. We arrive back at the apartment and an hour later the cell phone rings. The delivery has arrived. Soon two workers have moved the three appliances via the tiny elevator up to our eighth floor apartment. Delivery man one assembles the stove and cautions us not to plug in the fridge for six hours since it has been lying on its side. He also informs us that we are short one brass burner ring but that he has it in the truck. Well, we think these are the messages – a lot of Arabic, much gesturing and our English has led us to these conclusions. I sign the receipt and tip the delivery guys – big mistake! 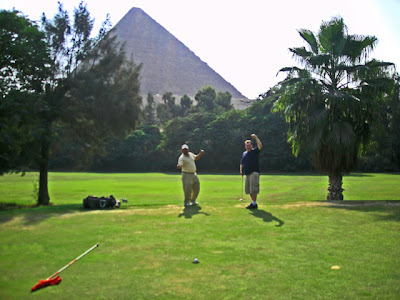 Lying literally in the shadow of the Giza pyramids is the Mena House resort hotel. Now a part of the Oberoi chain, this hotel has long been a stop for diplomats, dignitaries and the elite when then they visit Egypt. 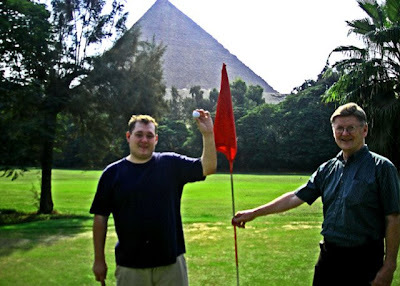 Built by the British in 1869, the Mena House naturally had a golf course on the grounds. The setting and the age of the course result in its inclusion in many lists of “courses to play...” It has been on my list for several years, I just hadn't gotten to it. 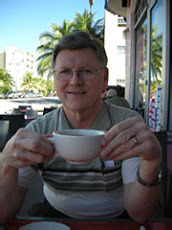 Terry and I headed over the the Mena House around noon on Tuesday. We hailed a taxi in front of the apartment after a few minutes wait. The taxi was already occupied by a woman returning home from a shopping trip, but the driver was flexible. The driver found our destination compatible. Fortunately the woman didn't mind and so she shifted to the front seat and we piled into the back. Outside of the weekend (Friday and Saturday) tee times are easily available. We sign up for 9 holes, rental clubs, five balls apiece and two caddies. For many American golfers, playing with a caddy is a new experience. Ours are good. After the first hole, they know the right club to hand each of us. Their greatest value is knowledge of the greens. “Right here” says Mohammad, pointing with the flag stick about six inches to the left of the hole. Needless to say, before we finish, I know the names and ages of Mohammad's children and that his only income is entirely from tips – no salary! There is only natural irrigation on the course with the water coming via ditches that line the fairways. Palms and long grass form the rough. As you can imagine, the course is very flat. Our caddies have no problem finding the balls. We were fortunate to play the course on this trip since it is being closed in January for major remodeling. It will be replaced by a modern irrigated course with some elevation on it. 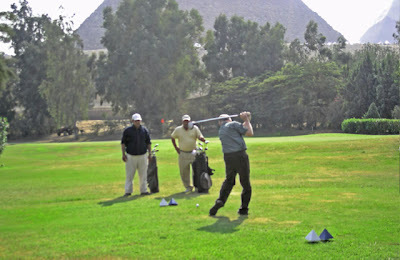 There are several other courses in Egypt, all modern. It will be a shame to see this old classic fade away. Where are we? In Cairo, again. Yes I have been here for about a week without a post. No Internet cafe readily available when I had the time available. Everything is going according to plan (well, by Egyptian standards) and I have several posts done but they will be posted on a delayed basis. Played golf, shopped till we dropped and visited friends so far. I got onto this machine a few minutes ago and then got it switched over to the English language version of Blogger. Next up? Getting a USB port for the keychain drive in my pocket with pictures and posts! There is only a small sample of the great Dutch artists' works from the Rijksmuseum, but the paintings on exhibit are very nice. And for quiet times, try the meditation center. Or for just plain resting up, you can't beat these lounges. For the quietest area, go to the second level near the Meditation Center. My flight from Minneapolis was scheduled to arrive in Amsterdam at 11:05 am. Unfortunately, KLM has only one flight directly to Cairo and it leaves at 9:00 pm. I planned to pass the time at the airport since my passport visa pages are mostly used up and I didn't want to end up arriving in Cairo without space for their full page process. I knew of a wi-fi hot spot with desks, located behind the Rijksmuseum area in the center area of the airport and headed there. Internet access was available and I signed up for an hour's worth at about $16. My Asus Eee battery was running down but I wasn't worried since I didn't plan much more use of it before getting to Cairo. I changed $100 to Euros for snack money - well, snacks and champagne. I needed to pick up a bottle of the bubbly for celebrating the completion of our apartment. 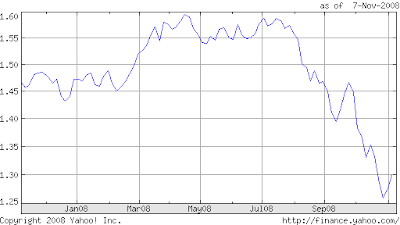 The dollar is a lot stronger versus the Euro than it was last May when Linda was trading them at $1.60 for a Euro. Now, while the Yahoo currency converter thinks I should have gotten 78.64 Euros for my $100, the change operators were offering only 73.40 Not content to make 7% on the rate, though, they then extracted a 3 Euro fee for the transaction netting me 70 Euros. Sbarro next extracted 7.10 Euros for a slice of pizza and a coke - just over ten bucks by my reckoning. Later on, a bottle of coke would set me back 3 Euros, or about $4.28 This served only to remind me of my childhood rage when the neighborhood gas station raised the price of a bottle of Coca Cola from a nickel to a dime - but that rant will have to wait. With my Champagne in hand (no, I didnt want to take advantage of the Christmas special of two bottles for only 48 Euros) I waited eagerly as my flight time of 9 pm approached. The only problem? There was no plane at the gate and it was after 8 pm. A very professorial looking gentleman with white hair and a gray herringbone suit coat became visibly agitated. He stormed the counter where a large group of KLM flight attendants were idly standing by like the rest of us. With a clear lack of satisfaction achieved, he marched off briskly clearly seeking higher authority. Finally at about 8:45, a faint announcement was made in English that the plane would not be arriving. Our flight was cancelled and if we went to gate T16 someone would help us. The hundred or so of us that heard the announcement dashed up the hallway. The other 200 or so passengers must have wondered, what on earth..." but soon joined us in the long queue formed at T16. Again, no announcements, but sometimes KLM staff addressed small groups in the queue. Being stranded in a group like this is a wonderful experience. The anonymity that is so characteristic of air travel quicky melts away and you get to know your fellow passsengers. I had a nice conversation with a couple returning to Cairo from London. Soon I was borrowing their phone to send a text message to Linda about the missed flight. With any luck, they may visit us and shop at the Mall of America. The airport is pretty much closed up at 10 pm and it was now about 10:30. I soon had a hotel voucher for the nearby Ibis and was out waiting for the shuttle bus with a hundred or so shivering passengers, After a long wait - well over a half hour - a bus and driver arrived and packed us all onto the bus. Someone shouted "this can't be legal" but she kept packing. At the Ibis, I arrived at my room by midnight. Noting that my instruction sheet from the Ibis said dinner was avaiable until 12:30 I headed up to the worst buffet of my life. I deeply regret any criticism I might ever have made of an army mess hall. Obviously, no one told the kitchen that a couple hundred extra guests would be showing up around midnight. I had two rolls to choose from with a long line of people behind me. There was soup but no bowls. Three or four mysterious blends to serve over rice or tiny boiled potatoes. One Egyptian ladled the soup over the rice. Very unripe tomatoes. I could go on. I never did find salt or pepper. That done, I tried calling the number at KLM. +31 (0) 20 5888333 No luck. The phone wants a phone card. No phone card! KLM had said at the gate that we would get a phone card. KLM hotel voucher guy didnt give it to me, Hotel said it's KLM's problem. I opened a credit card charge at the desk. Back to the room. The phone now has it's message light on and speaks to me in Dutch every time I lift the receiver. I try dialing the KLM reservation desk. The phone does not like the number, Back down to the very busy desk. I must dial two zeroes where the card says "+" No better results. I go to the bar. Naw, not for a scotch, although I should have. I look around for fellow passengers who might have solved the problem and be celebrating. I immediately recogize one fellow. He looks like Willie Nelson's younger brother. Sure enought, he and his wife have gotten through to KLM. They are booked through Paris on a 10am flight with an hour's layover. The wife gives me the secret code. "Ignore everything before the "20" that 31 is the country code and you are already in the right country!" They live here so they know. Back to the room. Dialing gets through to a "velkom ... KLM ... for English press zzzz" Several attempts later it appears that is "press zero" Press zero and you get beep-beep-beep-beep. On the other hand, don't press zero and you also get beep-beep-beep-beep. This is how phones get damaged, I think, after slamming the handset down again. Back to the front desk. This time I try the young guy who looks "in charge" instead of the old guy that doesn't like those dumb Americans who don't know that "+" means dial two zeroes. He says KLM is probably very busy. He calls a secret number (perhaps his girlfriend?) and chats a bit and says that I am booked on a 12 noon flight and should plan to get to the airport about 10. I send an internet e-mail to Cairo and go to bed. Breakfast is only marginally better than dinner. Still no salt or pepper and you really have to admire how well the US Army prepares scrambled eggs! Highlight was the pork sausages - won't see those again soon. At 9:00 sharp I dash for the shuttle bus. Is the 8:45 late or the 9:10 early? A nice gentleman from Cairo about my age gets off at the same time and we begin a search for a KLM agent to issue boarding passes. He is routed via Paris with a noon departure. Perhaps the same flight? My KLM agent tells me I am leaving at 21:00 not 12:00. Perhaps the hotel man suffers from Dyslexia? Maybe he was just talking to his girlfriend. 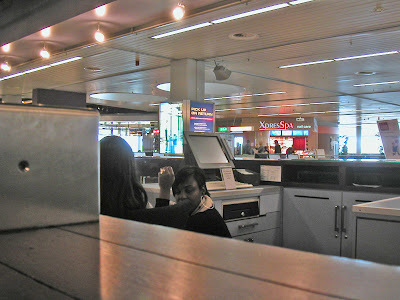 Schipol (Amsterdam's airport) is quite modern and up-to-date. It was voted "best airport in the world" as recently as 2003. and In 2007, British magazine Business Traveller voted Schiphol "Best Airport in Europe," based on passenger experience. Unfortunately, like most airports it suffers from a lack of electric outlets. Apparently, no one told airport architects in the 60's, 70's 80's that travelers would soon each be carrying the equivalent of the world's total 1950 computer power with them and need someplace to plug it in! But today, I have found Schipol's gift to the wired traveler. On the second level, not far from Sbarro and McDonald's lies the kpn communications center. Atop what appears to be an old bar - complete with rail and barstools - lie eleven boxes with electric outlets. Amazingly, both European and U.S. style outlets. There are also 28 Internet computers if you didn't bring your own. Some of these will even accept your memory cards! It will cost $16 for an hour on one of their computers but you can get an access code and use your own comuter for $23 for 24 hours. There are even eight telephones and six mini-offices if you need privacy, a fax machine or a printer. And most important of all, this tech center comes equipped with Angelique. Angelique had been at work since 6 am when I arrived around 11. She and two or three others handled problems with computers, phones and you name it. Need to call home to Atlanta? She not only know how to navigate the Amsterdam phone system, she knows the area code for Atlanta! This is the person you would want in charge of any help desk or customer service operation. With a thick skin to protect her from the wrath of stranded passengers dealing with unfamiliar systems, she and her colleagues handled every problem imaginable including from the guy that couldn't get connected and had to confess: "I actually work for Microsoft." Friday night 11/7 I'm off to Cairo, Egypt again. Linda and Terry left for Cairo two weeks ago tonight and have been on the classic two week tour since. I started off from the Minneapolis – St. Paul airport. Once past security, I was right by the infamous “Senator Larry Craig memorial rest room.” You can see it here on the right side 0f the aisle in this picture. That reminded me that I hadn't checked on how my U of Portland college classmate, Larry LaRocco, did in the election to fill the Larry Craig senate seat in Idaho. A quick check of the internet shows that Craig didn't poison the territory for Republicans too badly. LaRocco was outscored 58% to 34% by Republican, Jim Risch. Apparently, LaRocco never had much of a chance even in a Democratic year. I'm posting this from Schipol airport in Amsterdam, my new home! (more about that later.) I checked out Internet access at MSP and found that I would need a Boingo account. I could buy a 24 hour access pass for $7.95 or three months of access for $9.95. Of course the $9.95 pass would renew “automatically” subject to the Terms and Conditions that I would have to agree to. I actually scanned through most of the legalese on the Boingo agreement. If more people would read these agreements and reject them, the agreements would change for the better and simpler. These things are like taxes. If anyone were to propose the income tax code in the form it now occupies or a property tax proposal in the form it has, they would be laughed off the public stage. But we accept these things because of our "go with the flow" attitudes. Nuff said on that subject!